First introduced in 1897 in Bedfordshire, this apple was extensively grown in the home counties for it’s sweet, honey noted, flesh with lots of juice. Many consider Laxton’s Superior similar, but more concentrated in flavour to the classic Cox, but with larger fruit. 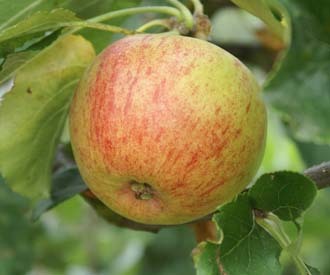 This apple is now exceptionally rare, but is worth seeking for a superlative eating apple. It should not be confused with the more common (but still rare) Laxton’s Superb or Laxton’s Epicure.